If I take a look back to the past years, it is clear that it has been my inner power that has always carried me from darkness to light. Yoga + meditation have been my daily practices to reconnect me to my authentic true self. No surprise, because as you know it all starts from within, and thankfully we all have this inner power! So what can you expect from this class? In this Yin Yang yoga class I will take you on a journey within to reconnect with your true self. How are you feeling, what is it that you need, what do you want to let go of? 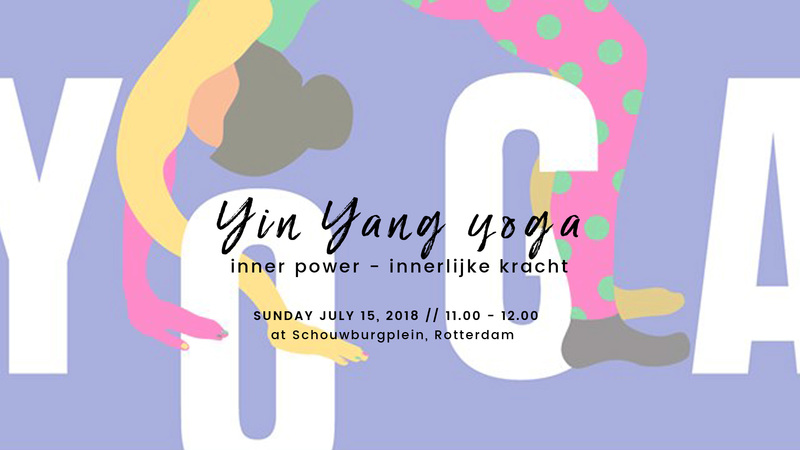 Through simple but powerful poses you will experience a harmonious flow that will bring you physically/mentally/emotionally back in balance; come and experience your Yin (feminine/moon) & your Yang (masculine/sun). This class will be in Dutch and accessible to all levels (even if you haven’t had a yoga class before). Investment: FREE! You can bring your own yoga mat or rent one for €3. If you have any questions, please feel free to drop me a message! The full photo gallery you can find here on my Facebook page (you don’t need an account to be able to watch the photos), and below you can find the video of this beautiful day! Enjoy!